Getting rid of bed bugs is an icky job, but someone has to do it. 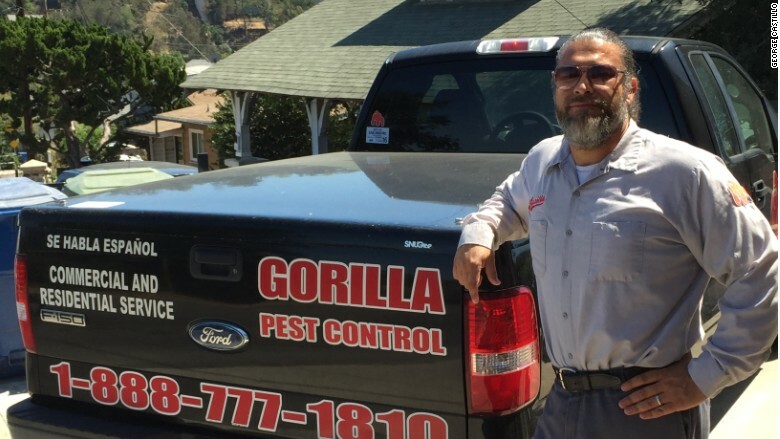 George Castillo, owner of LA-based business Gorilla Pest Control, said bed bug infestations are a serious problem in large U.S. cities. Anecdotally, he said the problem is popping up in smaller towns as well. This might explain the surge in Thumbtack searches for bed bug exterminators. "It's getting worse," said Castillo, who gets 25 calls a day for his services. He said his company has grown steadily since launching in 2009. "People don't understand that they can't rid the bed bugs themselves. That mistake makes the situation worse." And getting rid of them isn't cheap. Castillo charges $350 to $600 depending of the size of the infested space. It takes his team from one to four hours to exterminate. "They say you need a little luck and a lot of hard work to succeed with a business," said Castillo. "We haven't needed luck so far."